One of the best ways to save money on your wedding bouquet is by having it made with seasonal flowers. 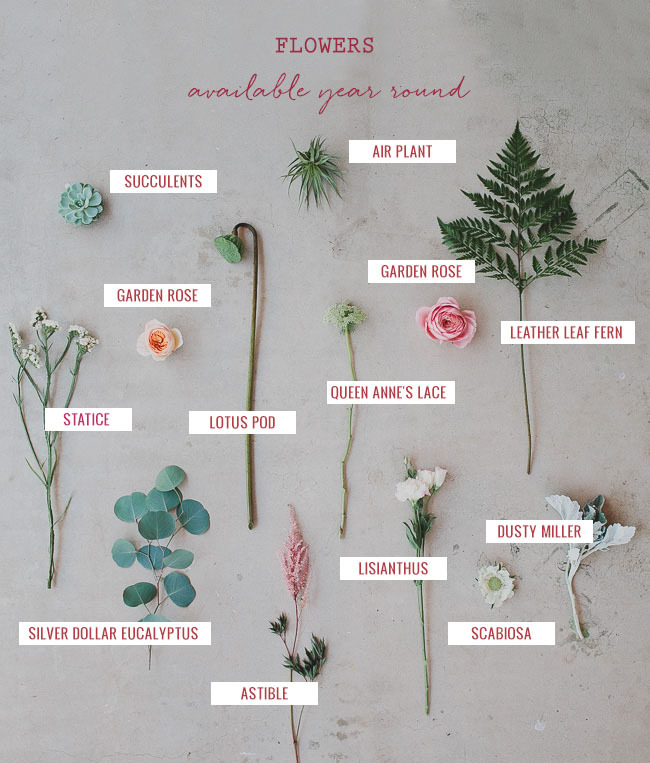 Sure you "can" get whatever flower you want but this may come at a cost to you if they have to be flown in from Holland air mail the week before your wedding. A perk of choosing seasonal flowers is the abundance of them and you can ensure they are fresh and healthy. This is really important because your bouquet has to last the entire day, mostly out of water. One of the best ways to have your florist love you and do a great job on your bouquet is by knowing what flowers you want. 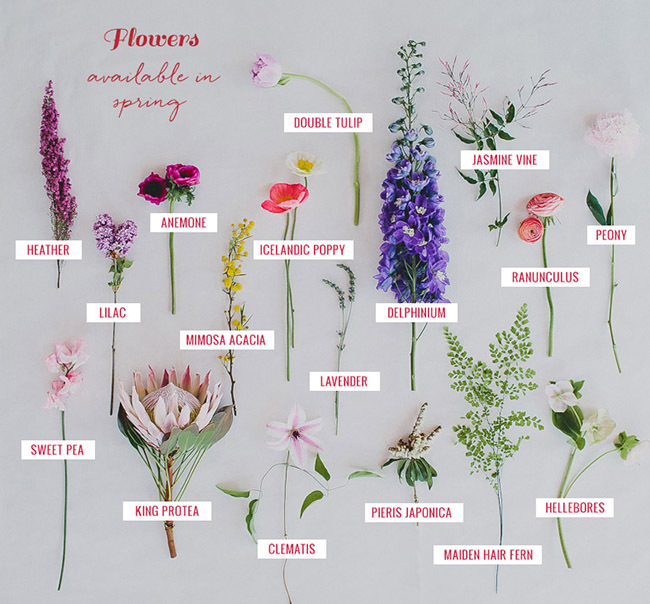 Here are the seasonal spring flowers and flowers that are available year round. Let us know what flowers you are having for your spring wedding! We would love to know!